Dar Lighting Tower single light table lamp features a square base in matt black finish with a slender stem and a rectangular matt black frame shade with copper lamp holder. The product code for this Dar table lamp is TOW4122. 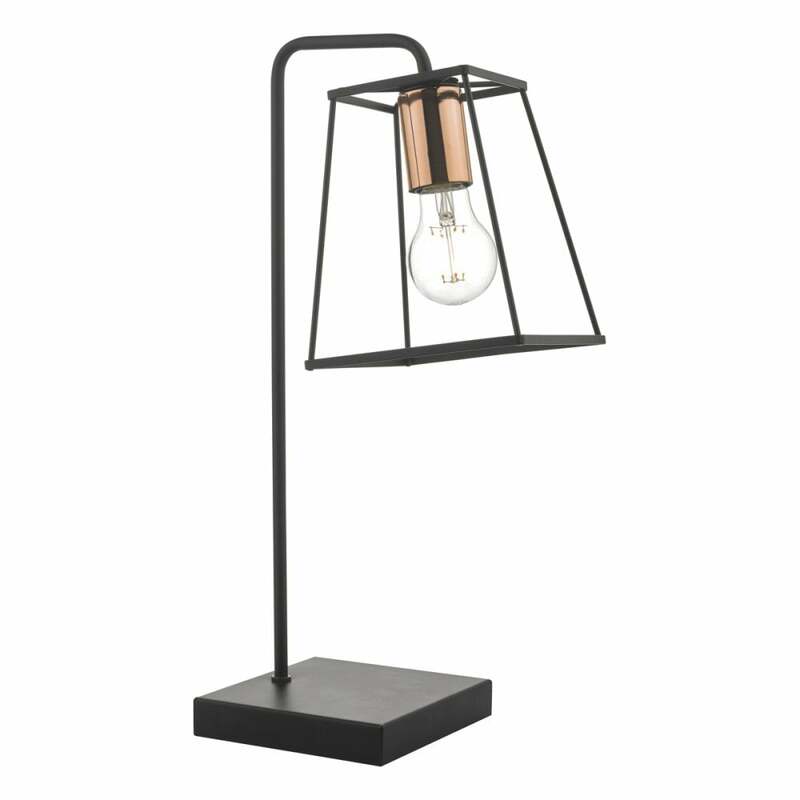 Industrial in style this very modern table lamp combines matt black and copper finish and the geometric frame displays the vintage style lamp perfectly. Double insulated, operated by the in-line rocker switch that is located on the cable. Dar Lighting offer an extensive collection of inspiring table lamp designs, all of which can be viewed and ordered direct from our website. Please take some time to browse through the entire range.